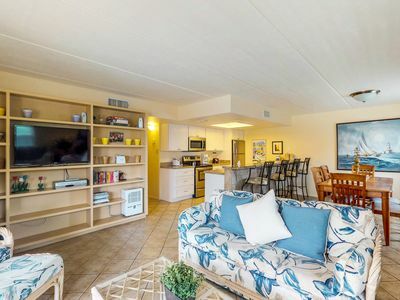 Practically Beach Front without the Beach Front Price - Guests are sure to enjoy a memorable vacation in this newly remodeled, fully furnished, 2 bedroom/2 bath condo. 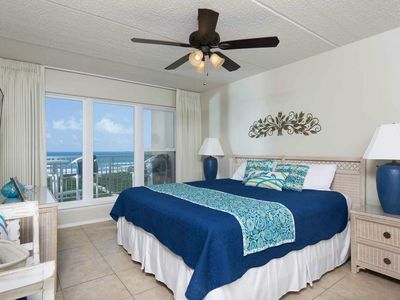 The master bedroom has a king-sized bed, private bathroom, a 50" flat screen TV, and views of the beach. 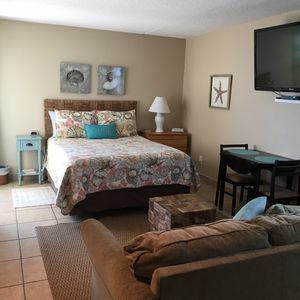 The guest bedroom is furnished with one queen bed and one custom built (xl twin/xl twin) bunk bed, 32” flat screen TV, and has a neighboring bathroom. 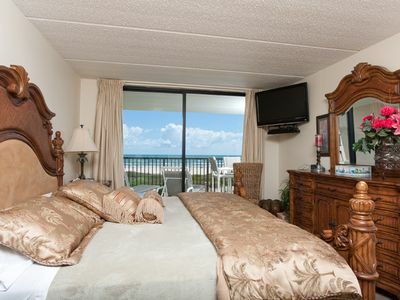 Our condo comfortably sleeps 8 people. 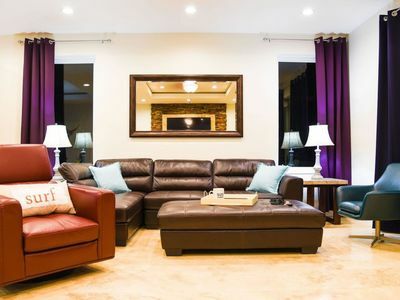 The living room is nicely decorated with a queen sofa sleeper and has a 60" flat screen TV. The dining area has a table with seating for 4 and the adjoining kitchen bar counter has additional seating for 4. The kitchen is perfect for entertaining as it is equipped with granite counter tops, stainless steel appliances, and is fully supplied. 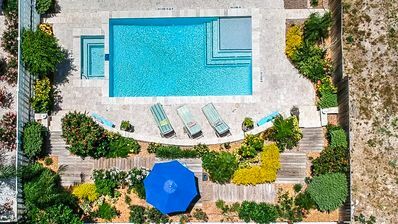 Situated directly across the street from a beach access with fabulous views of the beach, guests can enjoy an afternoon of swimming and then relaxing later on the poolside balcony. 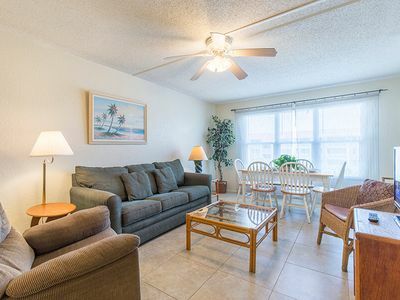 Our beach home is a family vacation rental. 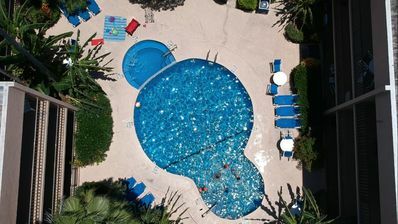 The traveler securing the reservation must be 25 years of age or older. 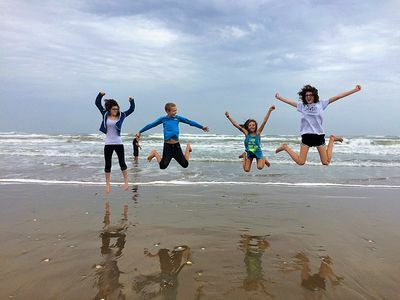 For Spring Break / Semana Santa all rental guests must comply with a families only restriction. 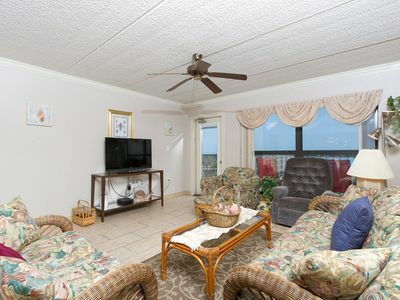 Gulfview II 302 - Stay where you play! 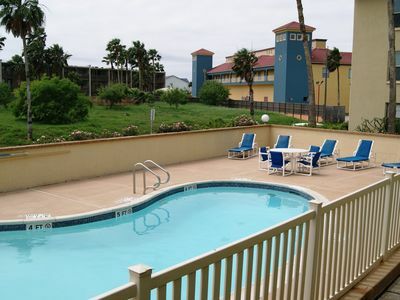 Clubhouse, Tennis Courts, Spa, Pool. 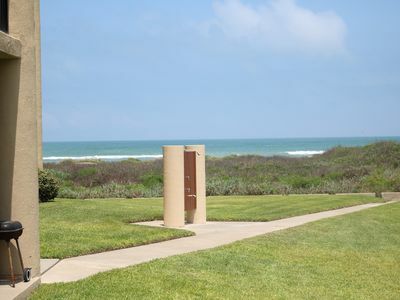 Next to Schlitterbahn & Isla Blanca Park. 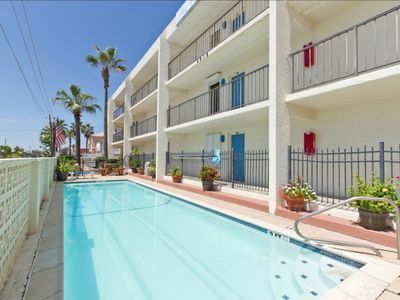 Beachfront condo w/amazing views, shared pool, & more - dog-friendly, too! 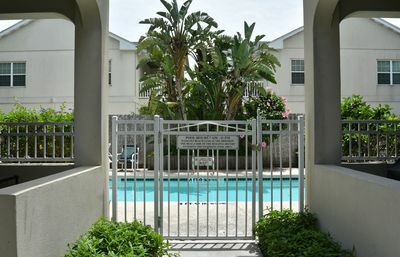 Fabulous Pool Side Condo Near Beach! 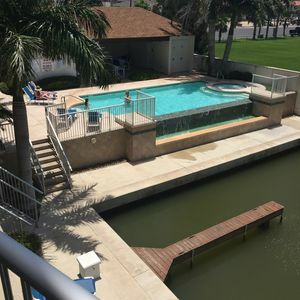 Charming Beachfront Condo with Pool & Hot Tub! Reasonable Rates! Great Location! 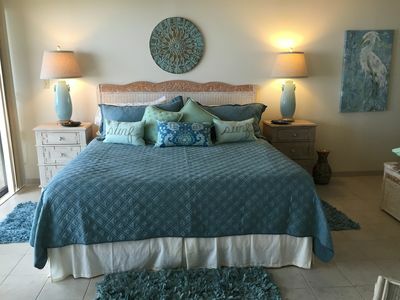 Oceanfront Home-Private Beachwalk,pool,spa sleeps10-12 Unbelievable Views!!! 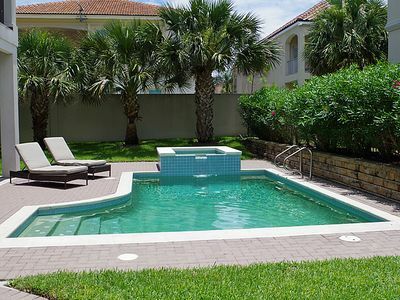 Luxury Villa with Private Pool in Upscale, Ocean Front Community! 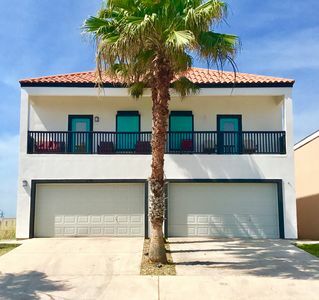 Just a few Steps to the Beach! 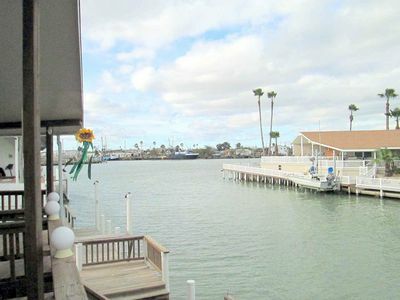 Fantastic beachfront view from the 3rd floor.......Steps to the water! 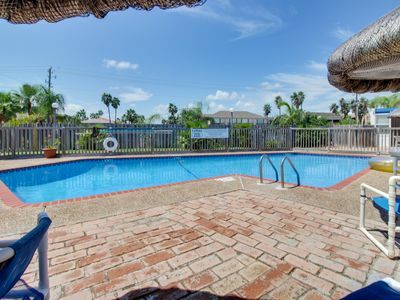 Dog-friendly home w/ water views, dock & shared pools/hot tub/tennis/golf!